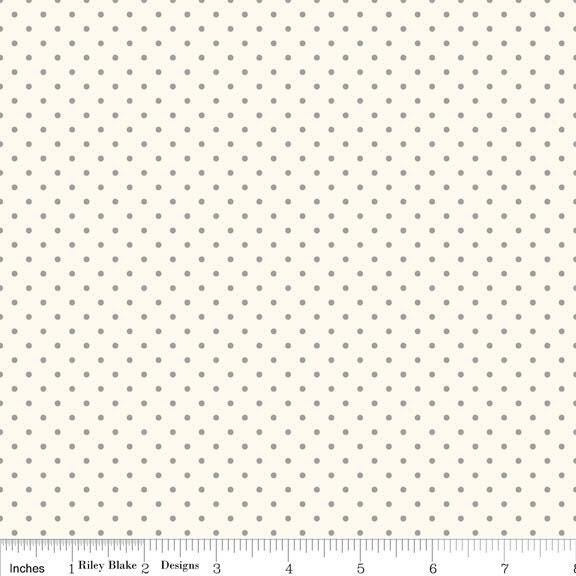 Riley Blake Designs Swiss Dots in Cream Gray. Pattern measures 1/18" in diameter. Customer service and fabric was perfect!